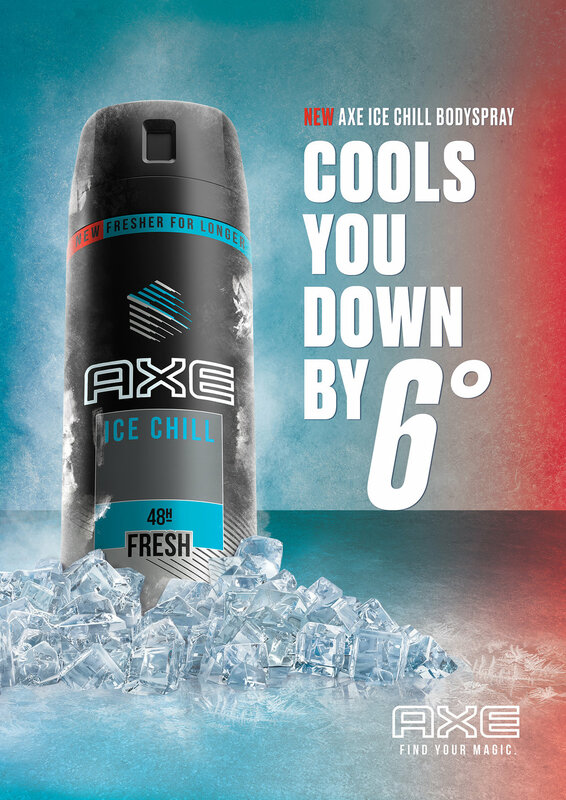 AXE required a new visual that celebrated their new cooling technology for their Ice Chill body spray. Tasked with the creation of the 2019 campaign key visual, I developed a concept that showed the cooling effect on a hot surface. This project had a tight turnaround, with concepts being created and presented in 24 hours. I worked closely with the AXE team to create this key visual that would be adapted for their global markets. I art directed the CGI ice elements with our team in South Africa, to create a high res visual for use as OOH and DOOH advertisements. Campaign animations for social media.